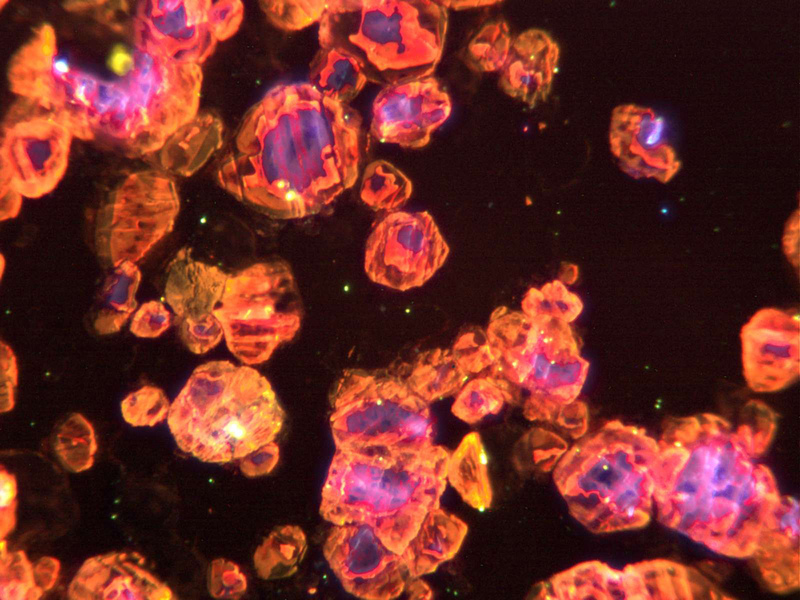 On the Cover - Cathodoluminescence photomicrograph of clinopyroxene, see "Integrating Cathodoluminescence into an Undergraduate Geology Curriculum" on page 426. Image by Elizabeth M. King. As fieldwork is an essential experiential learning component of any Earth Science education there is arguably nowhere better to run such an exercise than in a spectacular geological setting in Tibet. In June 2006, a group of 33 students from highly urbanized backgrounds travelled to several remote high altitude locales, in order to examine some of the best geology on Earth. The result was one of the most successful field learning exercises for both students and staff in the history of our department. A diagnostic test for assessing the general and Earth science knowledge of entry-level college students was administered to 451 students in 2002 and 401 students in 2003 enrolled in an introductory geology course at Iowa State University. The study shows that male students, seniors, and science-technology-math majors score higher than female students, freshmen, and non-science-technology-math majors and that the differences are statistically significant. Also, students who scored higher on the diagnostic test were more likely to pass the course. The results support the feasibility of a standardized diagnostic test as a tool for geoscience instructors for curriculum planning, student advising, and curriculum assessment, similar to standardized diagnostic testing and pre-post testing used in chemistry and physics courses. Standardized national tests would enhance college geoscience education. This project aimed at effective teaching of hydrologic concepts in the water sciences curriculum at the University of Northern Iowa and the State University of New York at New Paltz. The primary goal was to use outdoor instructional facilities to fill the large gap between classroom learning of concepts and its application at the watershed level. In this project, groundwater monitoring wells were set up within walking distance from the instructional buildings. Students were involved in hands-on activities, such as water sampling, on-site chemical analysis, well purging, preparing flow-nets, mapping water table contours, etc. The well clusters served as an effective intermediate step in learning hydrologic concepts. While the shallow wells were useful for unsaturated flow exercises, the deeper bedrock wells were very effective in teaching the natural hydrologic environment in the area. It was much easier for them to understand the negative impact of land use on area waters. We concluded that an on-campus or near campus instructional facility that is built in a natural field setting can bring the students a more effective experience of science. It promotes the basic elements of science inquiry among students, which includes curiosity, observation, synthesis of observed data, reasoning, and objective conclusions. This study documents the effects of a scientific fieldwork-based model of instruction on enhancing pedagogical-content knowledge of in-service teachers engaged in an NSF-funded, three-year professional development program for earth/environmental teachers entitled Earth-View (ESI-9911850). We focused on data collected through concept maps and videotaped interviews that dealt specifically with the two areas of participant knowledge germane to enhancing PCK (i.e. content and pedagogical). The videotaped interviews were used to examine how the structure of the program (i.e. specifically, scientific fieldwork) facilitated the development of PCK in the context of instruction designed to increase content and pedagogical knowledge. The concept map evidence supports the assertion that the treatment experienced by Earth-View participants promotes construction of earth/ environmental science content knowledge. We also demonstrate the capacity of the program activities (i.e. primarily scientific fieldwork) to promote pedagogical and pedagogical-content knowledge. This descriptive paper recounts the use of action research in the context of an NSF-funded, three-year professional development program for earth/environmental science teachers entitled Earth-View (ESI-9911850). We describe the implementation of action research during the program and the ways in which the participants responded. Participants typically focused their research efforts on student learning and attitudes. No participants, however, elected to examine their own behaviors, although a few studied teaching choices and their effects on learning or attitudes. Various reasons were provided for their research choices including a strong aversion to the use of video recording, which is disturbing as it serves as one of the most powerful tools educational researchers have available to examine teacher behaviors. We conclude by offering suggestions for program leaders regarding ways to encourage earth/environmental science professional development participants to study their own practice using video recordings. Every year several hundred non-geology majors, mostly juniors and seniors, take our Environmental Geology classes (Geology 300) to meet their Upper Division General Education course requirements. In order to encourage environmental curiosity and personal responsibility, in lieu of a traditional term-paper, a 30-page homework packet, which is based on ongoing environmental issues and realistic data, has been developed. The packet was initiated in the spring semester of 2002 and has been revised several times to reflect top environmental issues, the course's general requirements/expectations, students' writing and mathematical skills and their general environmental background knowledge. Through the assessment of this newly developed packet, although more than half of the students surveyed (58.8%) indicated that the packet is more challenging than doing a traditional term paper and some had difficulties with mathematical sections of the packet, 88.7% of those surveyed recommended the continuation of the packet. The packet contains several components in which the students are given the opportunity to conduct research on some specific local environmental issues and through their documentation to advance their writing and mathematical skills. Through up to four in-class small group 30-minute discussions, the students help each other to improve their mathematical skills and exchange ideas on understanding the related concepts and initiate original discussions on various environmental issues. The packet is flexible enough to be readily adapted to other geographical regions and various educational levels. The University of Toledo offered an introductory course in Geographic Information Systems (GIS) for teachers, the first of its kind taught in the College of Education. The course objectives sought to increase teachers' GIS skills, knowledge of geographic inquiry, application of the inquiry process to solving problems related to K-12 curricula, and ability to locate useful GIS resources. The course that met for four hours a day for two weeks, included seven graduate-level teachers in the areas of art, physical education, science, and math. Model-centered instruction focused on a geographic inquiry model served as a framework for course instruction, class activities, homework, and project designs. Final projects demonstrated that teachers learned to see relationships between geography and their respective disciplines, apply an inquiry model to solving problems, and think critically about geographic information when provided with steps from an established model. Course outcomes lend some evidence that even a very short course can be a very effective means of introducing GIS in a teacher education program. The arrival of multiple US and European planetary exploration missions at Mars (Squires et al., 2004a, 2004b; Clery, 2004) provided an opportunity to introduce students to geologic observation in general, and to planetary geology in particular, with all the excitement involved in "real-time" remote data acquisition from another planet. We took advantage of this opportunity by offering a freshman seminar in Mars Exploration timed to coincide with the arrivals of three planned landers in December 2003 and January 2004. The extended life of the NASA rover missions allowed us to hold this class again in 2005. While centering classroom discussion on the incoming observations, we also used the public proposal system of the Mars Orbital Camera (MOC) to teach principles of geologic observation to freshmen and sophomores in a small classroom setting. Science and non-science majors were guided towards an analytical view of the planet in which they attempted to ask critical scientific questions about the surface morphology and proposed observations to answer those questions. Agencies such as the National Science Foundation have identified as a priority the incorporation of cutting-edge research into secondary science curriculum. The Nano2Earth project, a component of an NSF-sponsored nanoscale science and technology research program, provides an example of how scientist-educator partnerships have been essential in the production of classroom materials designed for secondary school students that incorporate cutting-edge research. Nano2Earth uses groundwater quality as a framework for the introduction and application of nanoscience and nanotechnology through teacher resources and lesson plans. Scientist-educator partnerships were formed to bridge the knowledge and culture gap between research and secondary education, develop proxies for advanced technologies for classroom activities, and address national and state standards. The development of the Nano2Earth project is evaluated within the framework of criteria for successful scientist-educator partnerships drawn from the literature. The involvement of graduate students provides a means to accomplish project goals, in addition to preparing a future generation of scientists and educators who are more prepared to address the broader impacts of their disciplines. College student conceptions of the scale of geologic time and the relationships between time and geological or biological events were evaluated through interviews, open-ended questionnaires, and student generated timelines collected from four institutions. Our data indicate students hold a number of alternative conceptions about the Earth's formation and the appearance of life, and these ideas are remarkably consistent across institutions. Transferability of these findings was evaluated via comparison with Geoscience Concept Inventory questions related to geologic time collected from 43 institutions nationwide. Detailed evaluation of student timelines reveals a notable disconnect between the relative relationships between the age of the Earth, the time required for the origin of the first life forms (prokaryotes), and the evolution of dinosaurs and humans. Students generally placed these events in the correct relative order, but had a poor understanding of the scale of time between events. Intriguingly, timelines can be mapped onto ternary diagrams, and the relationship between ternary diagram zoning and specific ideas of geologic time is explored. We found that some students, for example those with a young Earth perspective, map onto specific conceptual zones on ternary diagrams. Luo et al. (2005) reported that careful design of the questions is very important to accurate assessment of the effectiveness of dynamic simulation and visualization on student learning. We followed the lessons learned in that study and improved some of the poorly designed preand post-test questions used for assessing the effectiveness of a Web-based Interactive Landform Simulation Model (WILSIM). We tested the new questions in a large section of the same general education physical geography course in the springs of 2006 and 2007 before and after students used WILSIM to simulate 3 different scenarios of landform evolution. We found that the post-test scores were significantly higher than pre-test scores, whereas previous study showed no statistically significant differences. 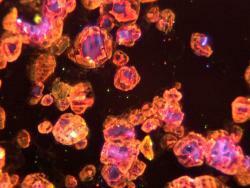 Cathodoluminescence (CL) is fast becoming a very common research tool in the geosciences. The introduction to and use of the technique in undergraduate courses is a reasonable beginning. Students will have the opportunity to become familiar with the multiple applications of CL before the start of research projects and/or careers. Mineralogy is a logical course for the first exposure to the instrumentation. Once a foundation is developed, the possibilities for further use in courses and independent studies are numerous. With incremental exposure to the theory, basic applications, instrumentation, software, and finally image acquisition, the potential fear of such instrumentation can be minimized. CL has been successfully included in Mineralogy and Geochemistry courses so far at Illinois State University but this is only the beginning. In addition to the knowledge of CL and its applications, confidence in the use of seemingly difficult instrumentation will serve all students well during and after their undergraduate careers.